Thanks to All Who Made the Cardboard Challenge A HUGE Success! Yesterday Hubbard Woods had its first-ever Cardboard Challenge. Kids of all ages came to the gym and built impressive designs using nothing but cardboard, recycled materials -- and their imaginations! From a putting green to all types of houses and games -- everyone had great ideas and really practiced teamwork, resourcefulness, and design thinking to bring them to life. Most importantly, it was a day that celebrated the creativity and imagination of our incredible Hubbard Woods children! Some of the work remains in the gym for viewing this week -- be sure to check it out. For those of you who attended and took your works of art home, please remember to return the Makedo rivets used in your creations this week. There will be a box in front of Mrs. Kuzel's desk. Thanks to everyone who came out to play. Thanks also to Jen Hayes, Sarah Graham and Todd Burleson, who were the drivers of bringing the event to Hubbard Woods. Last but not least, an enormous thank you to Clive Lascelles and Dennis Myers for all of their help trafficking the enormous amount of cardboard needed for the event. It couldn't have happened without you! Join your classmates and walk, bike or use some form of active transportation to get to and from school! Have thoughts on extended kindergarten in District 36? Attend one of these focus groups at Hubbard Woods School. Thursday, October 15, 11:25AM dismissal. Join us for our Second Annual District 36 Walk to School Day on Wednesday, October 7. Each District 36 School is participating. Our event encourages all forms of active, non-motorized transportation, so feel free to ride bikes, scooter, or use in-line skates instead of walking. The goal is to get our kids out of our cars and onto our sidewalks. Get a jump on your holiday gift wrapping by purchasing gift wrap and other gifts through the Genevieve website. Simply log on, click "shop now" and enter HW account #5548. It's fast and easy to order online, and helps the PTO fund programs and activities. Deadline is October 16 to have your orders delivered in time for the holidays. For more information contact Amy Kay amymkay1@yahoo.com. Learn about the history, culture, and traditions of the western-most point in Europe at our travelogue on Wednesday, October 21, and then enjoy a variety of kid-friendly dishes from the country on Friday, October 23. Your child brought flyers home last Friday; they are due before Friday, October 9. Please note the lunch is NOT allergen- free. If you have any questions, contact Linda Gerstman at lindagerstman@gmail.com or Tine Tschackert at tinesebastian@hotmail.com. You won't want to miss this year's PTO Fall luncheon at Skokie Country Club Friday, November 13, from 11:30AM-2:30PM. The amazing "academic entertainer" Barbara Rinella will be performing her dramatic interpretation of the book, "The News Sorority: Diane Sawyer, Katie Couric, Christiane Amanpour- and the (Ongoing, Imperfect, Complicated) Triumph of Women in News" by Sheila Weller. It's sure to be good gossipy fun. Please check your email for the invitation coming soon. With more than 45 dealers, the A+M Show offers an exciting blend of the best of traditional antiques and early mid-20th century design. In addition to being a fundraiser, this spectacular style and design event is a much anticipated event on the North Shore. Please place donations in the"Upcycling" box by Joan Kuzel's desk. The Student Green Team meets during lunch every other Wednesday. Click here for the Student Green Team permission slip. Please print it out, then return the filled-in form to the school office. The first meeting is this Wednesday, October 7. We've been busy in the IDEA Lab. Many students were introduced to Sphero; a 3D sphere that is controlled and programmed with an iPad. Our 3D printer has been going non-stop and students explored Tinkerplay, an app that lets them design and produce their very own fully posable figure. That's just a tiny bit of what has been happening up in the IDEA Lab. Click here to read all about it! 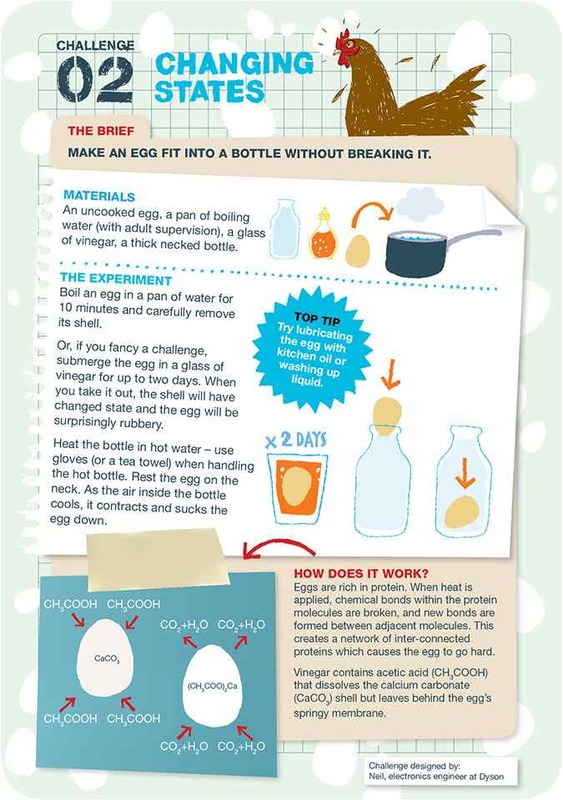 Challenge #2: "Changing States: Make An Egg Fit Into A Bottle Without Breaking It". Click here for directions. The next Pizza Fun Lunch will be Friday, October 9. A big thank you to Liz Kunkle and the members of the parent green team who help our students recycle and compost everyday during lunch. Another big thank you to Kim Half, Amy Gardella and team for hosting the first teacher fun lunch of the school year. Reclaiming Conversation: The Power of talk in a Digital Age by Sherry Turkle, Ph.D.
7 PM at Skokie School Auditorium. Click here for details about this lecture and for a list of future FAN events. Unfinished Business: Women, Men, Work, Family by Anne-Marie Slaughter, Ph.D.
Monday, October 12, 7 PM at New Trier High School, Northfield Campus. Click here for details about this lecture. Wednesday, October 14, 7 PM at Glenbrook North High School. Click here for details about this lecture. Friday, October 9, 4-7 PM and Saturday, October 10, 12-7 PM, Crow Island Woods, Winnetka. All ages are invited to join the Winnetka Park District, Tinkering School Chicago, and the Alliance for Early Childhood Education in a creative project-focused environment. Drop in to build, create, play or just be inspired. Click here for more information. The Item is Tuesday, October 13. Submissions should be sent to hwitemeditor@gmail.com.